LOCATION!!! LOCATION!!! LOCATION!!! 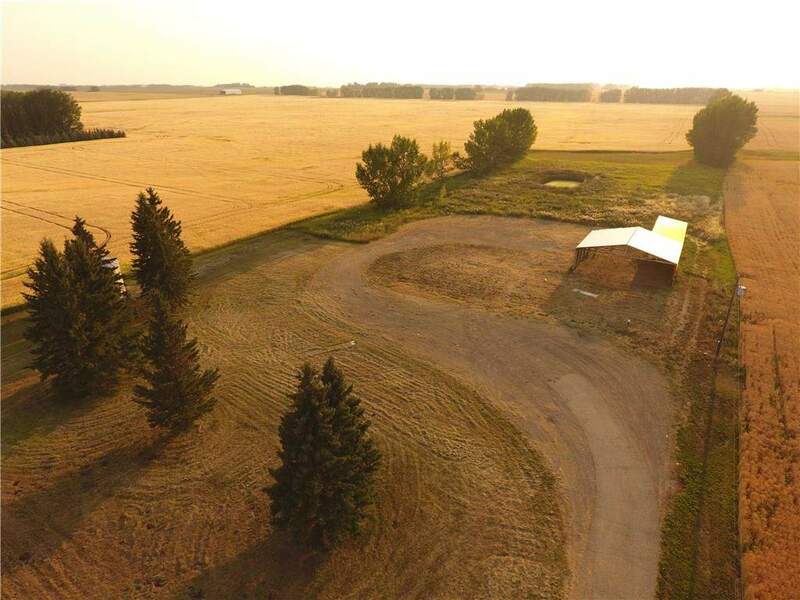 2.92 Acres of serviced "A - Ag District" zoned land just 1.5 miles south of the town of Didsbury on pavement!! Surrounded by gorgeous farmland...BRING YOUR IDEAS!! Many potential uses for this versatile land possible. Build a new home....put up a new shop to run your business out of....start and RV/Storage business, fence it for your four legged friends and use the open face horse shelter (4 steel pens on concrete under shelter) / hay shed with steel siding. Paved driveway leads to large gravel pad for parking and easy turnaround of trucks. Drilled water well, natural gas, power, & phone land-line service already on the property. Drilled water well has been cleaned up/shocked/and ready to use. *All potential uses mentioned require County approval & development permits. Home for sale at 31042 Range Road 20 Rural Mountain View County, Alberts T0M 0A2. Description: The home at 31042 Range Road 20 Rural Mountain View County, Alberta T0M 0A2 with the MLS® Number C4183720 is currently listed at $209,000.